February is the month of love! While most people think love doesn’t have a lot to do with business, I disagree. In fact, business is all about people and relationships. Sure, love isn’t necessarily the goal. But all great relationships, whether personal or professional, have common elements: trust, respect and authentic connection, to name just a few. 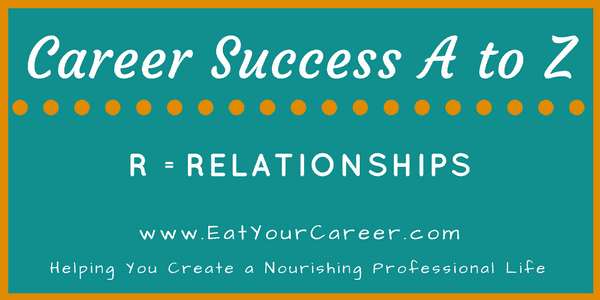 When it comes to career success, you need strong relationships to achieve your goals. That’s why, in this beautiful month of love, I’ll be showing you how to build a powerful professional network. I’ve said it before and I’ll say it again: Your professional network can be your most powerful business asset or your biggest liability. Unfortunately, many people don’t pay much attention to their network until they need something (like a new job). However, that’s a very reactive approach to your career. I advocate that you take a proactive approach. After all, if you want people to support you in your time of need, they first need to care about you. They have to know, like and trust you. Otherwise, why would they want to put their own reputation on the line to help you out? I recommend that everyone, regardless of where you are in your career or where you want to go, work continuously to build a powerful professional network. This is something that should be an ongoing effort—not an occasional activity you only do during a job search. Powerful connections don’t just happen; they require an investment of time and energy. In this month’s free webinar, you’ll learn simple strategies to expand your interpersonal skills, make new contacts, and deepen existing relationships so you can build a powerful professional network of your own. The relationships you build, or fail to build, follow you throughout your career. Your professional contacts can be incredible advocates for you; they can give you access to new opportunities, provide a wealth of information and help you get where you want to be. Without a strong network on your side, career progress is likely to be much slower and harder. Unfortunately, many professionals don’t know how to create these kinds of powerful relationships. They’re haphazard in their approach, rather than being strategic and intentional. As a result, they struggle to create the kind of relationships they need to achieve their career goals. Don’t let that happen to you! 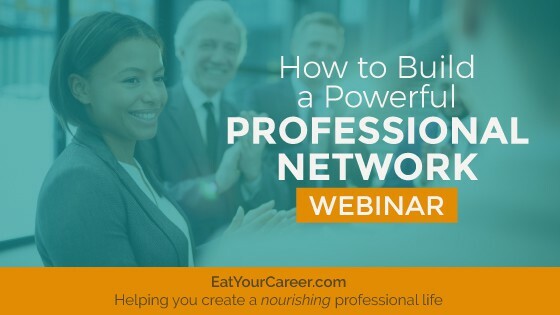 This session will show you exactly how to build a powerful professional network one step at a time. Sorry, this webinar has already taken place. To access the video replay, join the Career Success Library. You can access this webinar plus 100+ additional resources including training videos, downloadable workbooks and more. LEARN MORE HERE. The Career Success Library is a convenient, affordable online learning center for career advancers including administrative professionals, emerging leaders, and anyone else who wants to leverage the power of ongoing professional development. Sign up today and take your career to the next level. It’s been said that no man (or woman) is an island. This is especially true in the workplace. Business is about people. Anyone in any position in the workforce has to interact with people at some level. The relationships we build-–or fail to build—can follow us for a lifetime. They can help us grow and achieve great things, or they can hold us back. The people with whom you develop strong relationships can be incredible advocates for your career. They can provide you with support and wisdom, give you access to new opportunities, and help you get where you want to be. Conversely, the people with whom you struggle can be a real thorn in the side of your career. They can hold you back and damage your reputation with others. They can prevent you from leveraging new opportunities and make it harder for you to perform at your best. I’ve seen bad relationships haunt people for years, just as I’ve seen good relationships yield tremendous return. There’s just no denying that relationships have real career consequences. They can be your greatest asset or your most draining liability. Networking. The word alone strikes fear in the hearts of many. It’s so awkward and uncomfortable! It’s so inauthentic! It’s just so…so…exhausting. That’s why many professionals put it off. If you’re happily employed and your career is chugging right along, networking often gets put on the backburner. I see a lot of people who only start thinking about networking when they “need” something—like a new job, for example. But in order for someone to help you, they must first know, like and trust you. And that takes time!! To help inspire you to get started networking NOW, I wanted to highlight just a few of the reasons it’s essential for career success. After all, if you aren’t convinced that it matters, you’ll never do it. But before I jump into that, let me be clear about one thing: Networking is all about building authentic relationships with real people. It’s not complicated. You’ve done it your whole life. Don’t turn this into something scary or awkward or uncomfortable. Networking can happen anytime, anywhere: In the grocery store, at a nightclub, online, at a volunteer event in your community, or at a local meeting of your professional association. It’s always about making a real human connection before anything else. Okay…now on to the reasons! Networking gives you access to the hidden or informal job market, which is a helpful tool even if you aren’t actively job searching. Allow me to explain this a little more. We’re all familiar with the formal job market: A company has an employment need so it creates a job description, posts an ad on the Internet, and receives a pile of resumes to fill the position. The informal job market, however, always exists in a much more hidden fashion. Before a job is made public (and sometimes before it even exists) there are informal opportunities. Through networking, you have access to these positions that other people never even know about. For example, a contact in your network knows a position is soon going to be available at her company because a colleague in her office is retiring. The HR department hasn’t even started recruiting for it, but your contact knows you would be a perfect match for the role. If your contact refers you for the job informally, you could end up at the front of the hiring line before there’s even an official position available. You might not even been searching for a new gig, but let’s face it: It’s awfully nice when exciting new opportunities just fall in your lap. And if you’re a self-respecting, career-minded professional, you know that when a great career opportunity shows up, it’s worthwhile exploring—no matter how happy you are in your current role. The 2013 Careerxroads Hiring Sources Survey shows that employee referrals are the number one way to get hired. Sure, it’s no guarantee (that same study shows that only about 1 in 10 people referred for a job were actually hired), but it still gives you a serious leg up on the competition. It’s up to you to close the deal though. Networking also gives you access to a wealth of knowledge and experience. The people in your network will likely come from a wide variety of backgrounds, meaning they’ll offer a broad range of perspectives and possess a deep well of wisdom from which you can draw. When you have a strong network, you have a support team—people you can turn to for guidance, advice or assistance. Together you can share best practices. You become as much a resource for them as they are for you. In short, your network is a valuable professional asset—a resource that makes you smarter, more experienced, and more capable. Every person you meet has the ability to connect you to (potentially) hundreds more people. That means your professional network grows exponentially with each person you add. A strong professional network can introduce you to potential future employers, potential clients, trusted service providers and more. Want to get a job at Google but don’t know where to start? Turn to your network! Who do you know at Google? Or who knows someone who knows someone at Google? Chances are pretty good that you’re no more than two or three degrees of separation from any company you want to be a part of. Again, I want to stress the critically important role of the “know, like and trust” factor in all of this. The only way you’ll reap the rewards offered by your network is if the people in it truly know, like and trust you. Otherwise, it’s too risky. They won’t recommend you for a job because they don’t want to put their own reputation on the line for someone they aren’t absolutely certain about. They won’t connect you with their network because you could reflect poorly on them. And they won’t be willing to share their knowledge, offer advice or provide assistance if they don’t first like you as a person. We all already have too many demands competing for our attention—if it’s not at least minimally rewarding or enjoyable to help you, there’s no reason to bother. So start the process of expanding your network NOW, when you don’t immediately “need” something. Deepen those relationships. Be generous and help others first. That way, if and when you need to leverage them, your professional allies will be eager to help. While I don’t believe this entirely (to me, it’s both what you know and who you know), I definitely agree that having a strong professional network is a critically important part of creating career success. Unfortunately, a lot of people don’t think about expanding their network until they need something—like a job. But I encourage you to be proactive. Building a strong professional network doesn’t happen overnight, and these relationships are useful for more than just job search assistance. Your network can provide much needed guidance, support and wisdom—from a professional perspective of course. Here are three of my favorite ways to go about doing this. I’ve used these strategies personally with great success, as have my clients. They’re all “easy” but you have to be willing to commit your time and energy (and occasionally a few bucks as well). Don’t let that deter you. The power of a strong professional network makes it worthwhile. Put another way: The “return on your investment” is enormous! I know I sound like a broken record with this one since I say it ALL THE TIME, but clearly, I believe in its power. Associations are a great way of meeting new people with whom you have something (professionally) in common. You’ll be amazed by the number of options available. Associations exist for almost every position and every industry. There are also various groups based around other identifying characteristics—for example: young professionals, women in business, minority groups, etc. Do your research and you’ll find a hefty handful that might work for you. I always recommend attending a few meetings before committing to membership. You want to make sure the group is for you. Also, if you’re using this primarily for networking purposes, make sure it’s big enough to really give you a wide array of folks to get to know. If it’s too small, or the people aren’t what you’re looking for, it’s not worth the investment. Once you’ve found an association that works for you, be sure to regularly attend meetings and participate. Don’t be a wallflower or an observer. Get involved. Join a committee or run for a leadership position. Like most things in life, the more you put into your experience, the more you’ll get out of it. This one almost goes without saying and yet, a lot of people don’t take advantage of it. If you’re looking to expand your network, there are tons of events (organized by various groups) specifically for this purpose. Most are very reasonably priced (under $30) and they’re often centered around a fun event like happy hour at a local pub. In my experience, networking events can be hit or miss. I’ve definitely attended some that weren’t worth the time or energy. But once you’ve been to a few, you’ll start to recognize the ones that attract big groups of high-quality people. In my area, for example, the Denver Metro Chamber of Commerce hosts some great events. In your area, it might be the chamber or some other local organization. Ask around and start exploring. You really won’t know what works best for your needs until you try it for yourself. Make a commitment to attend a specific number of networking events each month, and set a goal for the number of new connections you’ll make. Remember though: It’s quality over quantity. Don’t blanket the room with your business card. Focus on having authentic conversations. This is yet another recommendation I seem to make over and over again. The great thing about volunteering is that it offers a lot of positive benefits. Besides making you feel good, regularly volunteering in your community is an excellent way to grow your network. Once again, I suggest that you do your research first. Different organizations attract different kinds of people. If you’re a young professional, you don’t necessarily want to spend your time volunteering with retired folks. Personally, I volunteer with Colorado Youth at Risk, in a program called Steps Ahead. This program pairs adult mentors with teens who need a little extra support and guidance to finish high school. My group has 40 adults and 40 teens, and the larger organization has hundreds of people involved throughout the state. It took me a long time to find the organization that really spoke to me and matched my personal values. I did a lot of exploration before making the commitment and I know it was the right choice for a variety of reasons. My fellow mentors are all amazing people who share my values and have similar personal goals. I’ve made great business contacts and a lot of friends through this process. And the relationships are built on a meaningful, shared life experience—there’s nothing more powerful than that. You’ll notice that all of these recommendations require face-to-face contact. That’s because I truly believe that in-person networking is the most effective for building relationships. It’s not always the easiest—staying home in front of your computer and jumping on LinkedIn is much more convenient. And of course, there’s a place for online networking as well. But nothing makes a more lasting impression than a handshake and a good old-fashioned face-to-face conversation. Need proof? Give it a try and see for yourself. In my work as a career coach, I find there are several helpful resources that very few people take advantage of. Mentorship definitely falls on this list. It’s really a shame. Having a mentor can elevate your professional capabilities exponentially. And—added bonus—mentors are amazing people. When you take the time to develop a strong mentorship relationship, you get access to a wealth of knowledge and experience, but you also end up with a lifelong friend and potential future business partner. In short, there’s no downside. For example, my first mentorship relationship was rather informal. My mentor and I would meet via phone about once a month (usually for an hour) and in between these conversations, we would communicate via email. I would send work to him when I needed a quick critique. He would send me links of articles to read when he stumbled upon something I might learn from. When I was facing a challenge, I’d check in with him for a little guidance and reassurance that I was doing the right thing. A few times a year, he’d send me a book in the mail. It was an easy relationship for both of us to keep up with, but I got tremendous benefit from it. I hope I’ve inspired you to start a mentorship relationship today. And if I failed to address an important question, please post it in the comments below. I’ll be happy to continue chatting about this!! This is post is part of my Bad Career Advice series in which I expose outdated, clichéd, and counterproductive advice for exactly what it is. This is perhaps one of the most frequently repeated pieces of bad career advice that exists. So, if it’s now what you know and it’s all who you know, why bother learning anything at all? Instead of attending classes while at college, we might as well focus all of our energy on the parties (clearly, some of us do that already…). But, if what you know doesn’t really matter, why do people make such a big deal about getting a college degree? Why go through the hassle of building a resume? Why not simply send a copy of your address book to prospective employers? Clearly, I’m being a little facetious…but the problem with this kind of advice is that it places an unfair burden on your network. It supposes that your friends and family will be willing and able to open more doors for you than your own expertise. The truth is, what you know and who you know BOTH matter. Neither one works as well without the other; you have to leverage what you know and who you know to create opportunities for yourself. The people in your network certainly want to help you grow professionally but not at their own expense. Even the most altruistic person will still want to protect his or her own interests. So you have to bring the goods. What you know matters. If you don’t have the ability to do the job, your friends and family can’t in good conscience advocate for you. By doing so, they’d put their own reputation on the line. If you don’t know enough to do the job and do it well on your own, your network can’t make opportunities appear for you. Having the ability and having the network are just the beginning. The other critical component is knowing how to effectively leverage both of these things. Just because you have a large and powerful network, doesn’t mean you can sit back, relax and let the opportunities flow. You have to do your part—reach out to people, ask for favors and return favors, be specific when you ask for things, know what you want your friend to do for you and the end result you’re looking for. Knowledge alone doesn’t do anyone any good. You need to create demonstrable proof of your abilities. Get out into the world and use your skills. If you’re not using your full potential in your current professional role, you need to find another way to do so. Join a professional organization and volunteer for a committee or run for a position on the board. Start a side business and put your skills to work that way. Don’t let what you know remain hidden. The more you show your abilities, the more opportunities will present themselves. So don’t fall into the trap of thinking that the favors others can do for you are more important than your own abilities. You have everything you need to be successful, with or without your network. Yes, having people who are willing to help you grow professionally certainly makes a difference. But they have to be willing. Don’t ask your network to create opportunities that you can’t appropriately take advantage of due to lack of knowledge.